Good to hear you're doing well! I recommend making your own alternatives to meat, as many of those faux meats in the supermarket are 1) expensive and 2) have a ton of preservatives. Good for you for going veggie for the month! When I became vegetarian about 3 years ago, I was surprised at how easy it was to forgo meat. I agree that some of the meat substitutes are better that others - for instance, an Yves Veggie Dog is quite satisfying on a bun with ketchup, mustard and relish. But making 'beef' strogonoff with the 'steak' strips didn't work out so well. I have found that textured veggie protein (TVP) works well in soups and stays chewy firm even upon re-heating. Glad to hear the veggie experiment went well! If you plan to stick with it, you might consider trying more bean-based dishes. Much cheaper than the fake meats, and super quick and easy. Burritos, tostadas, nachos, yum, yum. Morningstar Farms also makes some super delicious corndogs. Fake hotdogs are gross (like eating a tire), but when they make it into a corndog, it turns out great. Why not try designing some meals without the substitutes either? Bean burritos, for example, are great and don't need meat or a substitute. Just add rice, salsa, lettuce and tomatoes for a meal. For the substitutes, though, I'd recommend Trader Joe's soy chorizo - good flavor, good texture. I also prefer Nate's Neatballs over Trader Joe's meatless meatballs. Natural food stores sell Gimme Lean hamburger and sausage substitutes in the deli case in tubes that look like Jimmy Dean sausage. You can use those to make really good burgers and you can find a recipe for meat(less) balls on my blog's recipe index using them. For burgers, I combine both flavors, shredded/minced vegetables, and a little bit of rolled oats soaked in water. Outstanding when grilled. 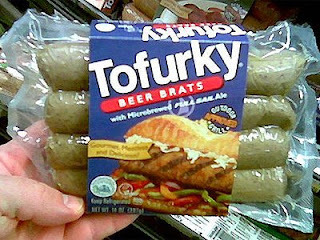 Didn't like the strips so much, and the beer brats are ok but the sundried tomato tofurkey sausages are better. I've been loving the recipes at VeganDad (just google him) for several months now. His chickpea patties and vegan mac and cheeze are awesome and have become weekly additions to our menu. These days I consider myself a flexitarian, but I was veg for 12 years. During which I avoided most fake meat products, finding it was more satisfying to eat meals filled with a variety of proteins. Needless to say I've had great success converting my husband with various Quorn products. The chick'n tenders absorb teryaki and others sauces superbly for stir fries, the cutlets do well in "chicken Parmesan" type meals and their turkey loaf slices up great for sandwiches! I agree with Chile - meatless meals don't have to be veggie replacement or tofu based. There are many great bean dishes our there, and there are pasta with protein as well. I'm impressed you've kept it going this long - what an inspiration! If you do want to stick with the fake meats, I'd suggest making your own as well. The taste is incomparable! Oh how interesting - I wish I'd known about this before. I think this is the first time I have been to this blog though, so unfortunately I didn't! Kind of strange as I just finished a post about how little meat I eat anyway. A nice blog, I will be back! 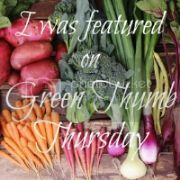 Do try a variety of meatless products, some are better than others, or better for other tasks. For items with saute'ed meat, like chili, or probably your stroganof, I recommend buying grillers prime burgers and mincing them up. Morning star chicken strips are tasty.